Dr. Jiawen Yang received his Ph.D. from the Stern School of Business, New York University, M.A. and B.A. from the University of International Business and Economics, Beijing, China. 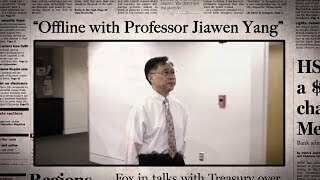 He joined the George Washington University in 1994 and has been teaching courses in international finance, the world economy, financial institutions management, and China’s economic/financial environment. He has also taught at New York University, Vanderbilt University, London School of Economics, and Peking University. Dr. Yang received the GWSB Outstanding EMBA Faculty Award in 2008, the Professional MBA Outstanding Faculty Awards for Core and Elective Courses, the Outstanding Accelerated MBA Faculty Award in 2012 and the World EMBA Outstanding Faculty Award in 2013. His current research focuses on international financial markets, monetary policy transmission, financial institution risk modeling and management, non-performing loans, exchange rate pass- through, and economic and financial development in Asia. His research has appeared in The Review of Economics and Statistics, The Quarterly Review of Economics and Finance, Review of International Economics, International Review of Economics & Finance, The International Trade Journal, China Economic Review, The World Economy, Business Economics, Applied Economics, Applied Financial Economics, Journal of Behavioral Finance, Bank Accounting & Finance, Journal of Financial Research, Journal of Banking & Finance, Journal of Financial Services Research, and other academic journals. Dr. Yang is also author of many book chapters and coauthor of two books on economic sanctions. Dr. Yang has served as a consultant to financial institutions, multinational companies, U.S. government agencies, and international organizations. World EMBA Outstanding Faculty Award, School of Business, the George Washington University, 2013. Outstanding AMBA Faculty Award, School of Business, the George Washington University, 2012. Outstanding PMBA Faculty Award for Core Courses, School of Business, the George Washington University, 2012. Outstanding PMBA Faculty Award for Elective Courses, School of Business, the George Washington University, 2012. Outstanding EMBA Faculty Award, School of Business, the George Washington University. 2008. Policy Research Scholar, George Washington Institute for Public Policy, the George Washington University. 2003-2005. Principal investigator, research grant for project on the Chinese currency, Center for Studies of Globalization, the George Washington University. 2002-2004. Principal investigator, research grant for project on U.S. economic sanctions, Center for Studies of Globalization, the George Washington University. 2001-2002. Global Management Research Professorship, Institute for Global Management and Research, the George Washington University, 1997-1999. Outstanding Teaching Award, Stern School of Business, New York University, 1992. Outstanding Teaching Award, Stern School of Business, New York University, 1991. Outstanding Contribution to the General Electric Company China Management Training Program, Management Development Institute, General Electric Company, 1991. U.S. Economic Sanctions: Examining Their Philosophy and Efficacy (with Hossein Askari, John Forrer and Hildy Teegen). Westport, Conn.: Praeger Books. 2003. Case Studies of Economic Sanctions: The Chinese, Cuban and Iranian Experience (with Hossein Askari, John Forrer and Hildy Teegen). Westport, Conn.: Praeger Books. 2003. Guest Editor. The Chinese Currency – Valuation and Convertibility, Symposium, International Journal of Public Administration, 30(2) (January 2007). “Bank characteristics and stock reactions to federal funds rate target changes (with Haiyan Yin),” Applied Financial Economics 23:23 (2013), 1755-1764 (http://dx.doi.org/10.1080/09603107.2013. 851770). “An empirical study of bank efficiency in China after WTO accession ( with Haiyan Yin and Jamshid Mehrana,” Global Finance Journal 24:2(2013), 153-170. “Value premium in the Chinese stock market: free lunch or paid lunch? (with Yujia Huang and Yongji Zhang),” Applied Financial Economics 23:4 (2013), 315-324 (http://dx.doi.org/10.1080/ 09603107.2012.720010). “Day and Night Returns of Chinese ADRs (with Hui He),” Journal of Banking & Finance 36 (2012) 2795-2803 (http://dx.doi.org/10.1016/j.jbankfin.2012.06.016). “China’s International Coordination in Policy Response to the 2008 Financial Crisis,” Whitehead Journal of Diplomacy and International Relations, XII(2) (Summer/Fall 2011): 73-88. “Regime-switching analysis of ADR home market pass-through (with Hui He),” Journal of Banking & Finance 35 (1) (January 2011), 204-214. “Securitization and Banks’ Equity Risk (with Deming Wu and Han Hong),” Journal of Financial Services Research, 39 (3)(2011): 95-117. “State dependency of bank stock reaction to federal funds rate target changes (with Haiyan Yin and William Handorf),” The Journal of Financial Research, 33(3) (Fall 2010), 289-315. “How Do US Economic Sanctions affect EU’s Trade with Target Countries? (with Hossein Askari, John Forrer and Lili Zhu),” World Economy, 32(8)(August 2009), 1223-1244. “The Role of Psychic Distance in Contagion: A Gravity Model for Contagious Financial Crises (with Lili Zhu),” Journal of Behavioral Finance, 9 (2008), 1–15. “Interest Rates and the Value of Bank Equity (with Haiyan Yin and William C. Handorf),” Bank Accounting & Finance (October-November 2007), 11-16. “Is Exchange Rate Pass-Through Symmetric? Evidence from U.S. Imports,” Applied Economics 39(2) (February 2007), 169-178. “The Chinese Currency: Background and the Current Debate (with Haiyan Yin and Hui He),” The International Journal of Public Administration, 30(2) (January 2007), 117-135. “Is the Chinese Currency Undervalued (with Isabelle Bajeux-Besnainou)?” International Research Journal of Finance and Economics, Issue 2 (March 2006), 107-130. “Economic Sanctions: Assessing Vulnerability to Reduce US Costs (with Hossein Askari, John Forrer and Tarek Hachem),” Business Economics (April 2005), 41-55. “U.S. Economic Sanctions Against China: Who Gets Hurt (with Hossein Askari, John Forrer and Hildy Teegen)? ” The World Economy, 27(7)( July 2004), 1047-81. “Nontradables and the valuation of RMB—An evaluation of the Big Mac index,” China Economic Review, 15(3)( September 2004), 353-9. “U.S. Economic Sanctions: An Empirical Study (with Hossein Askari, John Forrer and Hildy Teegen),” The International Trade Journal, February 2004, XVIII(1), pp. 23-62. “Inter-National and Intra-Country Economic Integration: The Case of China,” Issues & Studies, September 2002, 38(3), pp. 33-58. “Economic sanctions and US international interests (with Hossein Askari, John Forrer and Hildy Teegen),” Banca Nazionale Del Lavoro Quarterly Review, March 2002, LV (220), pp. 55-69. “U.S. Economic Sanctions: Lessons from the Iranian Experience (with Hossein Askari, John Forrer and Hildy Teegen),” Business Economics, July 2001, XXXVI (3), pp. 7-19. “Capital Flows and Financial Stability: The Mexican Experience,” International Journal of Public Administration, 2000, 23(5-8), pp. 941-61. “Pricing-to-Market in U.S. Imports and Exports: A Time Series and Cross – Sectional Study,” Quarterly Review of Economics and Finance, Index Issue 1998, 38(4), pp. 843-61. “The Emerging Patterns of Taiwanese Investments in Mainland China,” Multinational Business Review, Spring 1997, V(1), pp. 92-99. “U.S. Interest Rates and Portfolio Investments in Latin America,” Global Business and Finance Review, Spring 1997, 2(1), pp. 37-42. “Exchange Rate Pass-Through in U.S. Manufacturing Industries,” The Review of Economics and Statistics, February 1997, 79(1), pp. 95-104. “Exchange Rate Changes and Pricing Behavior of U.S. Exporters,” Review of International Economics, October 1996, 4(3), pp. 339-54. “Exchange Rate Pass-Through in U.S. Market — A Cross- Country and Cross-Product Investigation,” International Review of Economics and Finance, Index Issue, 1995, 4(4), pp. 353-71. “Psychic Distance in the Eight-year Crisis: An Empirical Study (with Lili Zhu),” in Brian Bruce ed., Handbook of Behavioral Finance, Edward Elgar (Cheltenham, UK; Northampton, Mass., USA), 2010, 122- 151. “Foreign direct investment and investor strategies in China (with Phillip D. Grub),” in John H. Dunning and Tsai-Mei Lin eds., Multinational Enterprises and Emerging Challenges of the 21st Century, Edward Elgar (Cheltenham, HK and Northampton, Mass., USA), 2007, 25-53. “Direct and Financial Foreign Investment: How Do They Differ in benefits to Developing Countries?” in Ann Marie Bissessar, ed., Policy Transfer, New Public Management and Globalization: Mexico and the Caribbean, New York: University Press of America, 2002, 167-92. “International Financial Capital Flows and Economic Setbacks for Developing Countries,” in Mike Kotabe and Ricardo Leal, eds., Market Revolution in Latin America: Beyond Mexico, Amsterdam: Pergamon, 2001, 161-81. “Financial Globalization and Its Impact on Emerging Markets,” in Michael Schechter and Preet S. Aulakh, eds., Rethinking Globalization(s): From Corporate Transnationalism to Local Interventions, London: Macmillan Press (New York: St. Martin’s Press), 2000, 153-71. “Financial Liberalization, Capital Mobility, and Financial Crises,” in J. Jay Choi, ed., Asian Financial Crisis: Financial, Structural and International Dimensions, Amsterdam: Elsevier Science Inc., 2000, 175-97. China’s Economic Transformation. By Gregory C. Chow. Malden, Mass., and Oxford: Blackwell 2002. Journal of Economic Literature, Vol. XLI (September 2003): 945-946. “State Ownership, Cross-Border Acquisition, and Risk-Taking: Evidence from China's Banking Industry (with Wenyu Zhu),” Journal of Banking & Finance, 71 (October 2016). pp. 133-153. “Do Chinese banks perform better after IPOs,” Jiawen Yang (with Haiyan Yin and Jamshid Mehran), Managerial Finance, Vol. 41 No. 4, 2015. pp. 368-384. “The sensitivity of non-U.S. bank stock returns to changes of U.S. monetary policy,” Jiawen Yang (with Haiyan Yin), Journal of Applied Finance and Banking 3(6) (2013), 25-43. Banking Industry,” Jiawen Yang (with Wenyu Zhu), Journal of Banking & Finance, 71 (October 2016). pp. 133-153.